If you do not know if you have a hernia we can optionally explore and determine if its a health concern during your surgery. The hiatus is an opening in the diaphragm -- the muscular wall separating the chest cavity from the abdomen. Normally, the esophagus (food pipe) goes through the hiatus and attaches to the stomach. 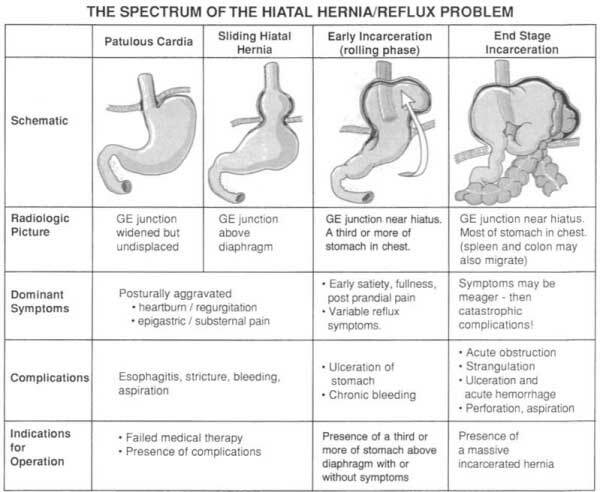 In a hiatal hernia (also called hiatus hernia) the stomach bulges up into the chest through that opening. We can repair with sliding and paraesophageal hernias during surgery. We do not charge for repair if is it unneeded. We repair hernia's caused by our procedures free of cost.